Non communicable diseases are a severe health threat that plagues world health. Hypertension, a condition that is categorised as a non communicable disease, is prevalent in the country today. This condition is common among adults. However age is no barrier when it comes to ailments threatening health. 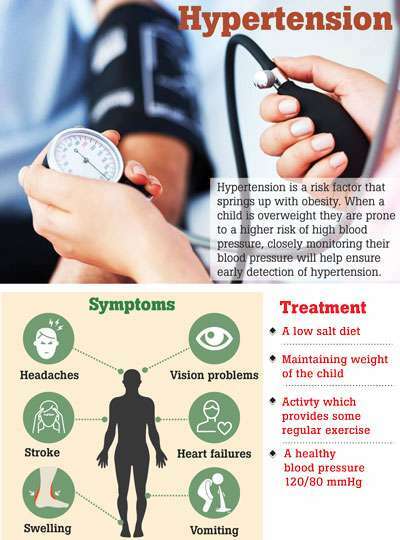 Though it is rare, hypertension some times affects children. 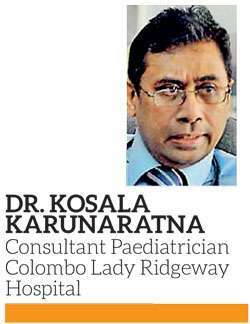 Dr. Kosala Karunaratna, Consultant Paediatrician of the Colombo Lady Ridgeway Hospital, during an interview with Health Capsule spoke about hypertension with regard to children. Hypertension is simply high blood pressure. 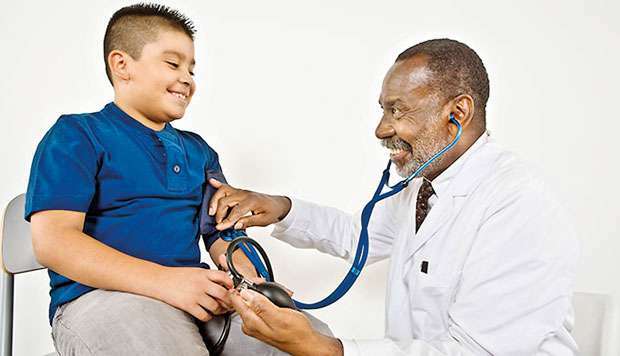 Hypertension is rare in children, but it is prevalent. “There are various forms of hypertension. Sometimes high blood pressure may occur due to no apparent reason. This type of hypertension is referred to as essential hypertension. The other form of hypertension arises secondary to another condition. 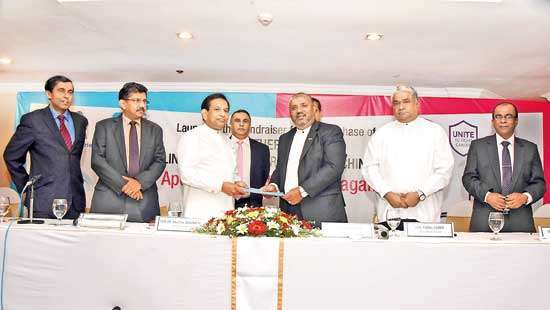 This occurs as a result of an underlying disease,” Dr. Karunaratna stated. “Kidney conditions, endocrinological complications that lead to hormone abnormalities, congenital heart diseases are such causes that could also lead to hypertension. The diagnosis of the cause of hypertension requires a thorough investigation,” he said. Essential hypertension does not display symptoms in most cases. The doctor stated that the condition can be left undetected while the situation aggravates and produces severe complications. Therefore to ensure early diagnosis, regular medical examinations are necessary. The diagnosis requires routine examinations of the blood pressure as hypertension may not display symptoms. This is basically the main method of detecting essential hypertension in children. He underscored that obesity in children is a condition that demands attention. “Hypertension is a risk factor that springs up with obesity. When children are overweight they are prone to a higher risk of developing high blood pressure. These children should be directed towards regular medical examinations to ensure health is maintained. Therefore when children are overweight, closely monitoring their blood pressure will help ensure early detection of hypertension. This allows for timely treatment,” he accentuated. Secondary hypertension that occurs as a result of another disease is more common over essential hypertension. Dr. Karunaratna informed that this form of hypertension is brought to surface when the patient experiences symptoms of the relevant complication that they have been inflicted with. “Through the diagnosis of the complication by the symptoms of the disease, hypertension can also be uncovered,” he explained. “Usually children with kidney complications are exposed to the risk of falling victim to hypertension. Passing red urine is also another warning sign. Nephritis is a main kidney complication that can lead to hypertension. 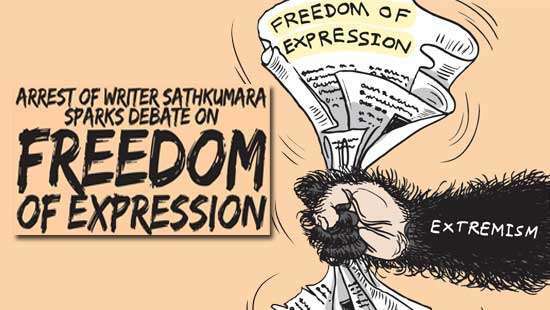 These signs should immediately be directed towards the attention of a medical professional,” Dr. Karunaratna warned. According to Dr. Karunaratna, while most cases of hypertension may not display symptoms, headaches, vomiting, vision problems and swelling of the body may hint at the possible increasing levels of blood pressure. When the condition is left undetected and untreated it could aggravate and lead to other complications of hypertension. “There are threats to the nervous system of the body. Blood vessels in the brain could burst leading to strokes. Heart failures are again another fatal complication if the condition is left untreated for too long,” he stated. Hypertension can of course be treated. In most cases as it occurs as a secondary complication to another condition, the treatment addresses the root cause which is diagnosed by investigation. “Essential hypertension of course does not have any apparent cause for disease. Therefore treatment is directed towards lifestyle adjustments. 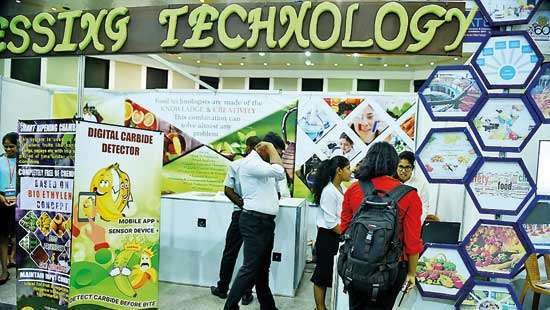 A low salt diet, maintaining the body weight of the child at a healthy level and keeping the child active by getting them involved in regular exercises are some general but important measures that can be taken,” Dr. Karunaratna listed. In children, blood pressure varies with age unlike in adults; who have to keep it within a constant range irrespective of the age. A healthy blood pressure reading should be normally maintained at 120/80 mmHg in adults. The healthy blood pressure value according to age in children is referred to by a chart which denotes the respective normal blood pressure that should be maintained for that specific age category of the child. Therefore he advised that children are directed to physicians who are specialized in child health. According to Dr. Karunaratna, being vigilant of the child’s weight is a necessary step to be aware of hypertension in terms of prevention. When a child is overweight concerns should be raised regarding the blood pressure of the child. These steps are taken to maintain Blood Pressure and prevent hypertension. “Metabolic syndrome is another danger that’s posed to the child, especially if he or she is overweight. Metabolic syndrome includes a combination of several other complications such as high blood sugar and high cholesterol. These factors also increase the risk of hypertension,” he asserted. Children spend more time on phones and computers which affects their activeness. This mainly contributes to obesity and ill health. Therefore an active lifestyle is important. Engaging them in fun activities which give them effect of exercises is essential. Children tend to be attracted towards snacks and junk food. Snacks usually contain a high salt content. “While high salt will not cause major issues at a younger age, it is still unhealthy and can increase the risk of high blood pressure as they age. So they should follow healthy diets with low salt intake,” he advised. Stress is another factor to deal with regarding children. With the increase in examinations and competition that exists today, children are more often subjected to stress. Engaging the child in recreational activities that are fun takes away stress. This is another important fact to consider in preventing hypertension. Of course it should be stressed that though hypertension is not common in children, they could be exposed to that danger. While most of the time there are no early symptoms to set off a warning, parents should consider subtle hints such as headaches, vomiting and vision problems as signs to seek medical help.